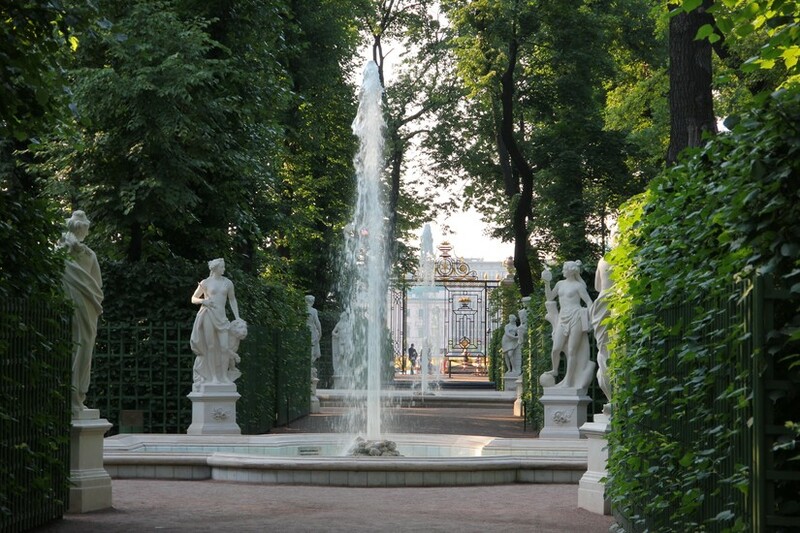 When it comes to parks and gardens, there is certainly an abundance in and around St. Petersburg. 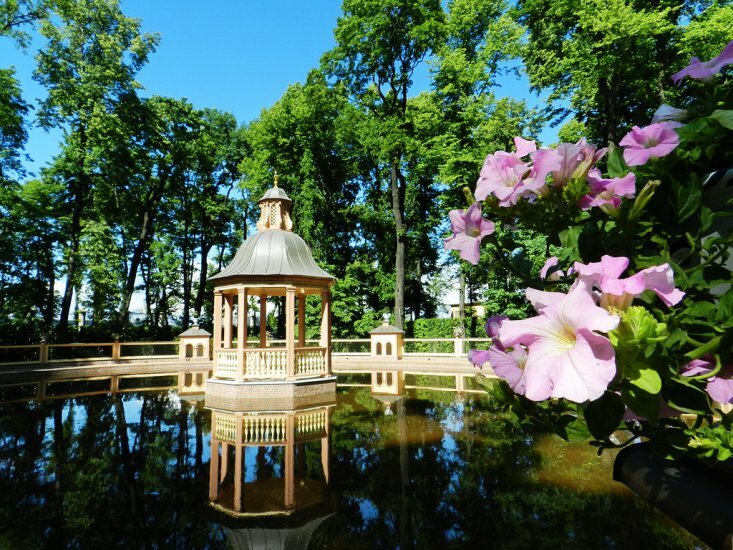 They all have their charm and special history, but no garden is more famous, evocative and poetic than the Summer Garden, which is as old as the “City on the Neva” itself. 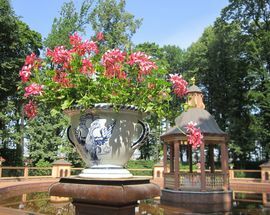 Personally designed by Peter the Great in 1704, the garden occupies an island between the Fontanka, Moika, and the Swan Canal and shares its name with the adjacent Summer Palace. 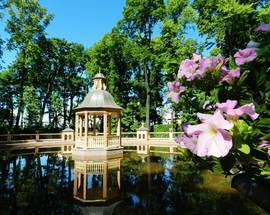 In the 18th century, many foreign masters helped shape and develop the park into something truly special. 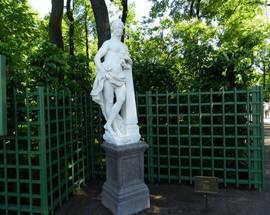 Starting from 1712, the planting of the Summer Garden was further elaborated by the Dutch gardener Jan Roosen, who remained chief gardener until 1726. 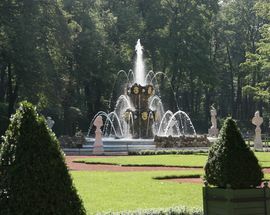 With the arrival of the well-known French architect Jean-Baptiste Le Blond in 1716, the park received a “jardin à la française” touch to it. 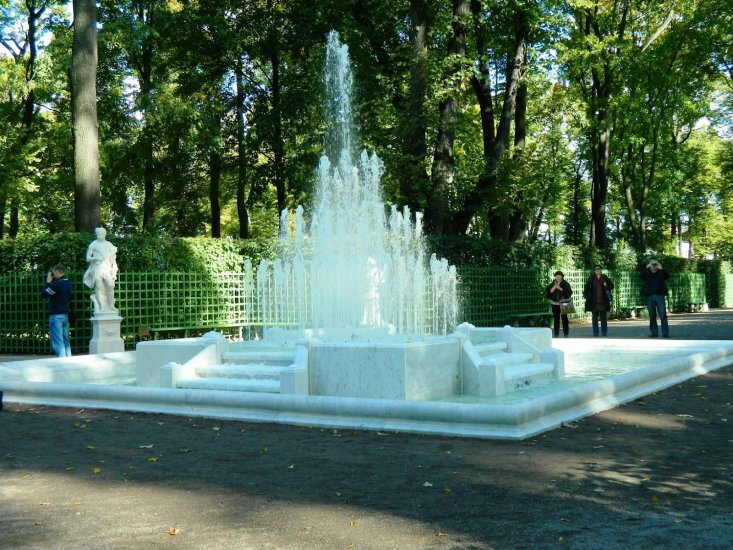 An entire team of Venetian sculptors worked to line the walks with a hundred allegorical marble sculptures. 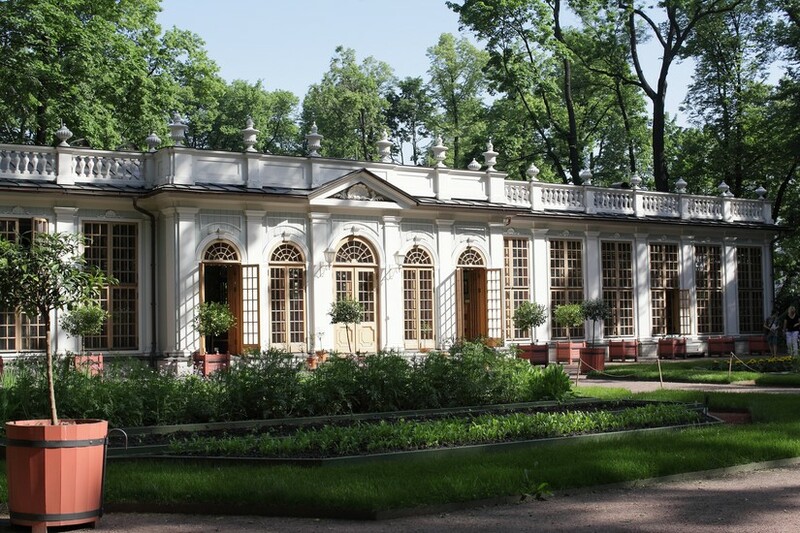 By 1719, the Summer Garden was largely completed. 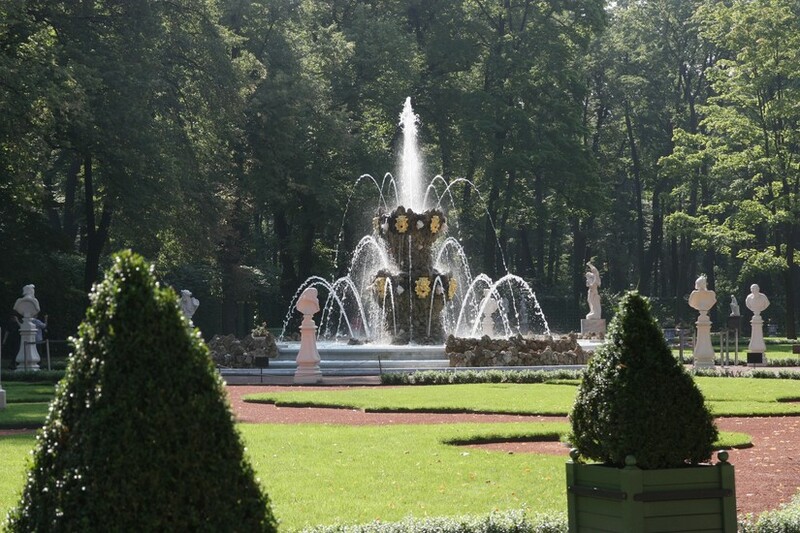 Apart from the statues, the garden’s fountains (the oldest in Russia) were another major attraction. Representing scenes from Aesop's fables, some of these, unfortunately, fell out of use and were demolished after the flood of 1777. 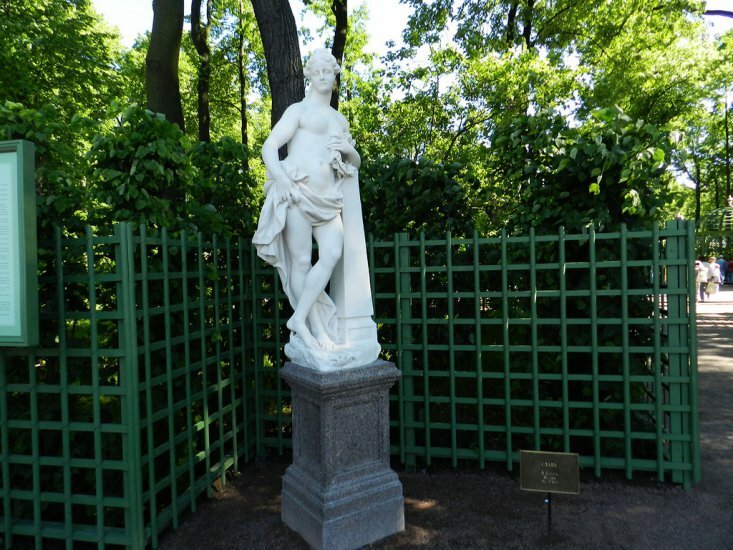 The Summer Garden played an important part in Russian literature as well. 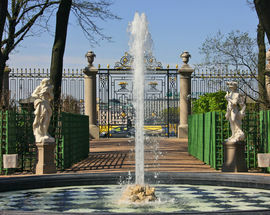 A delicate iron-cast railing, separating the park from the public walk of the Palace Embankment, was designed by Georg von Veldten. 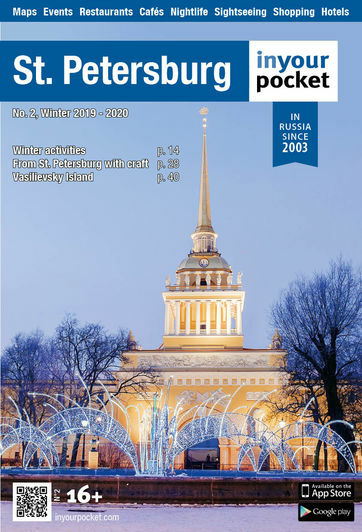 The poet Anna Akhmatova, among others, considered the grille to be a pinnacle of art-casting and one of the symbols of St. Petersburg. 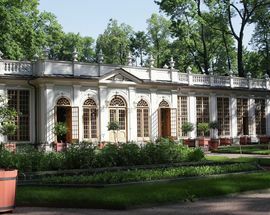 Alexander Pushkin, Russia’s most beloved poet, chose the garden as the setting for the childhood walks of his fictional character Evgeny Onegin. 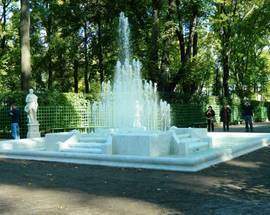 During the early Soviet years, the Summer Garden was a place of recreation and relaxation for the hard-working citizens of Leningrad. 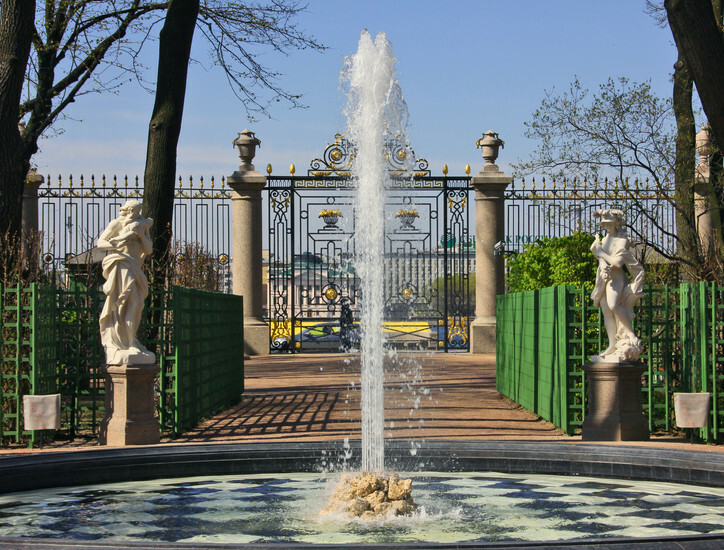 In 1940, the government even began a series of restoration works, however the start of World War II meant that they had to be put on hold. 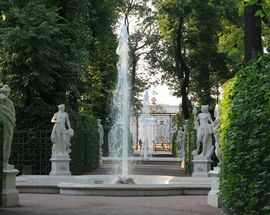 Although bombs were dropped all over Leningrad during the city’s darkest days, the Summer Garden and its statues did not sustain serious damage. 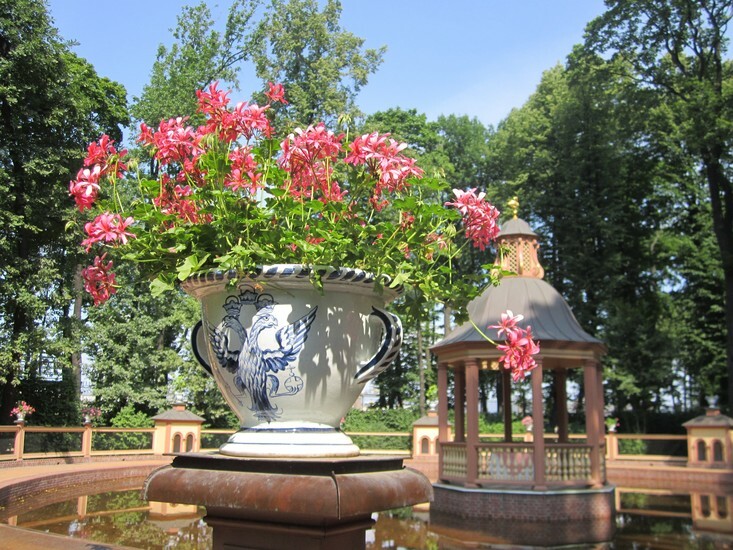 Download their app (available Russian, English and French) with the garden's interactive map and a lot of interesting information about all the main attractions. Open 10:00 - 22:00 (May - September), 10:00 - 20:00 (October - March), Closed Tue. Closed April.